This release contains updates to workflow and system processes. Some of these items may have been incrementally released in the weeks prior to these release notes. This feature will only be available when partial ship, installs and completes don’t exist. As with the current workflow, orders will automatically be marked as completed once the final invoice has been created. Mothernode users will have the ability to send transactions electronically from within the transactions record. Depending on your Mothernode edition; Quotes, Orders, Purchase Orders, Work Orders and Invoices can all be sent electronically via email to customers and vendors. Recipients will receive a link to download their transaction and users will have access to how many times the transaction was downloaded. In addition to adding the functionality to Mothernode Quotes electronically, Mothernode users will now have the option to let their customers approve their quotes by digitally signing them with a digital wordmark or scribed signature, ideal for tablets and touchscreen laptops. Signed approved Quotes are conveniently archived with the quote record. Automatic email notifications communicate transaction correspondence to both the user and their customer. 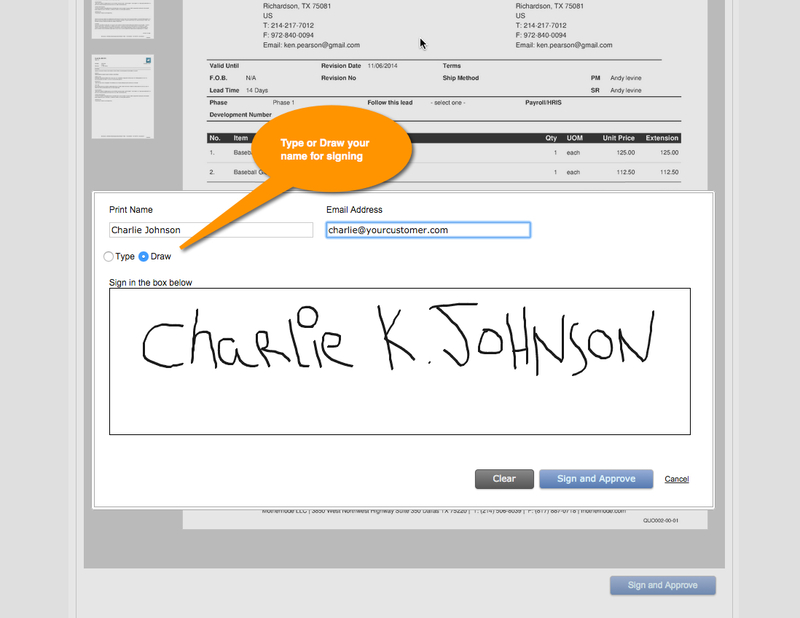 This initial release does not incorporate document receiving and signing in Dialogue Notifications or the Activity Feed. These functions will be available in the next release. *This feature may not be available for some customers with custom quotes. Updates have been made to the Recurring Orders UI listing page. Users will now have basic search and filter capabilities and pagination has been added to the list. Users can now delete recurrences in addition to disabling them. Mothernode customers can now upload their own documents, warranties, agreements and forms to their list of terms and conditions, in addition using the internal (existing) Terms and Conditions in Quotes and Work Orders. Uploaded documents will be nested in the T&C pages and will include the standard header plus footer and transaction page count. Users can add both types of T&Cs to a Quote or Work Order. A new administrator tab has been added to the Administration Menu that includes settings for your Mothernode account. Default Country: Admins can define the default country for each of their offices. When creating new records that include address information, the country will automatically default to the country defined in the System Settings. Currency Settings: You now have the option to choose to display currency in transactions. Currency can be set for Customers and Vendors and can be specified in Quotes, Orders, Invoices and Purchase Orders. Currency settings will only display in customers, vendors and transactions if they are activate in the System Settings module. Base Margins: Administrators can now define baseline markups for all quotes. Users can override the baseline markup in the Quote. Orders will display if the margins have been retained and will display any variance (+/-) in the order. If the base is below what was defined in the quote, the number will appear in red. 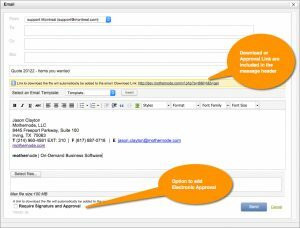 All Cases that include file attachments will share those files with all records directly or indirectly created from the case, such as Quotes, Orders, Work Orders, Invoices, etc. Users can now attach files to Purchases Orders. There was an issue when running custom reports with Purchase Orders that has been resolved. New filters have been added to the work centers listing screen. Users can now apply ascending and descending sorting on screen and in reporting using the following criteria. Ship date was added to the Schedule reports in work center. Past due dates appear in red. Work Center Reports will now display red dates for end dates that are past due. i2 customers should note the following workflow changes and significant enhancements made to the Work Orders module. Users can now tie an independent Work Order to an existing Order, just as you could reference the Order in the PO. The process is identical. This means that you now have the option to create Work Orders from an Order or independently of an Order and still have the option to relate the two records. Note: As with the PO process, the Work Order line items will not be added to the Order line items. To invoice the two together, keep reading. 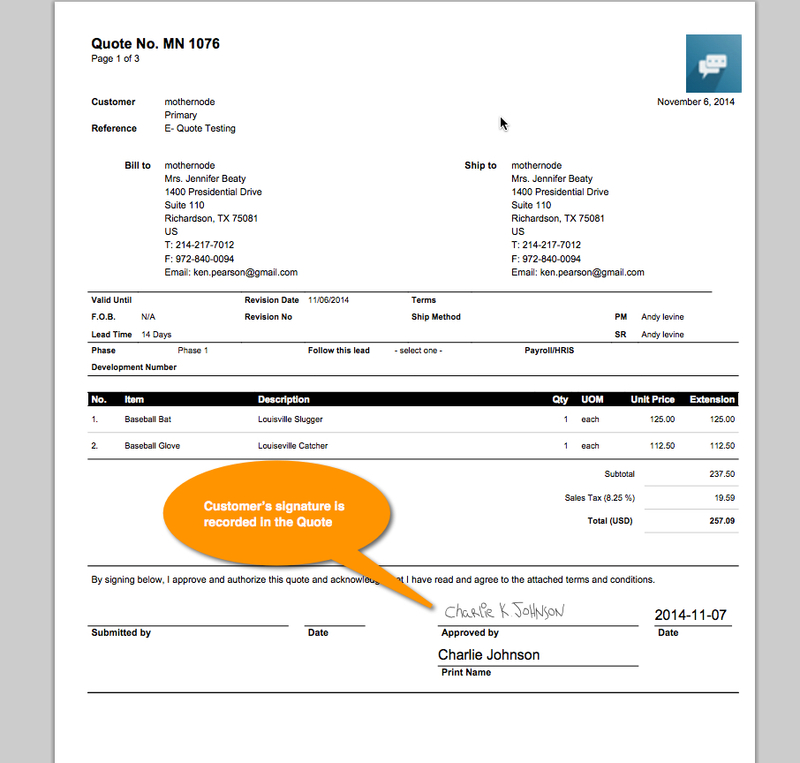 You can now invoice Work Orders, without needing to create an Order first. 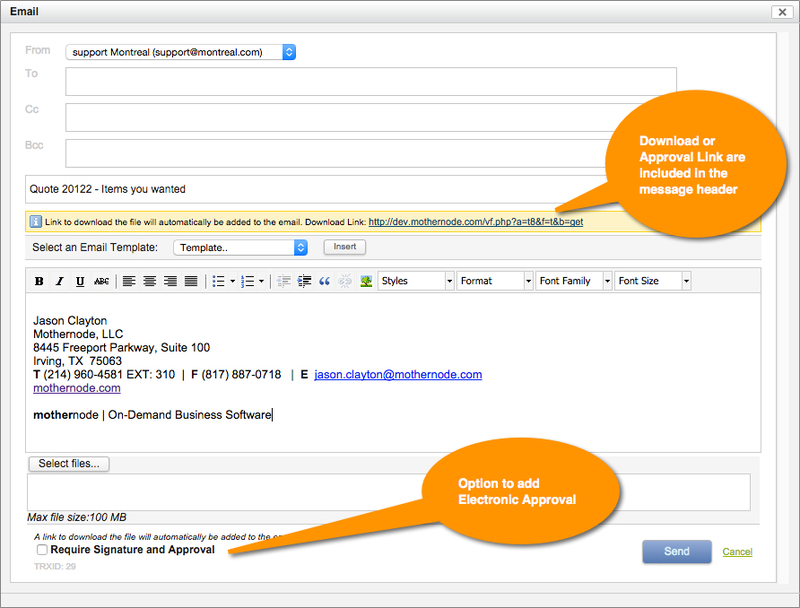 The workflow for producing Invoices will remain that same as with other modules. 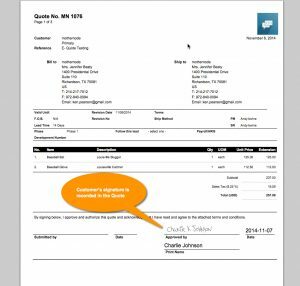 Once you make an Invoice from a Work Order it will be available in Ready for Invoice for processing. You can now merge independent Work Orders and Orders for Invoicing. As long as a Work Order is linked to an Order, and both records reside in Ready for Invoice, they can be joined to make a single invoice. This is most ideal when residual billable installation or field work is performed after the Order is completed and the additional billing should appear on the final Invoice. This release introduces Tagged Users. By default, notifications are only sent to users who own records or relationships (i.e. Sales Reps or Project Managers). Now other users can be tagged in customers and contacts and can follow all of the activity related to those accounts even if they do not own the relationship. Default Country has been added in the system defaults (Company Profile), so you no longer have to select your country when adding contacts, customers, vendors or leads and opportunities. Administrators can set the default country in the in the Company Profile>Systems Defaults. This setting will need to be made for each Company location or Division in your account. Case numbers have been added to email template field options. When adding line items to Deposit Invoices a feature was added to select all or none. New filters were added to the Activity Feed that let you view Activity for the last 24 or 48 hours only. Transaction notes now appear in My Interactions and the Activity Feed. When adding line items to deposit invoices for Quotes and Orders, users now have the option to select all and select none. Smart Tasks can now be set as all day calendar events. In some occurrences line item notes were not carrying forward in transactions. This has been resolved. All line item notes are available in corresponding transactions. An issue with Orders not sorting correctly when clicking in the due date column has been corrected. Some duplicate postings were appearing in Dialogue Events has been resolved. Some users reported duplicate cases be created when they were making cases in the case module. A preventative measure to halt double posting was added.